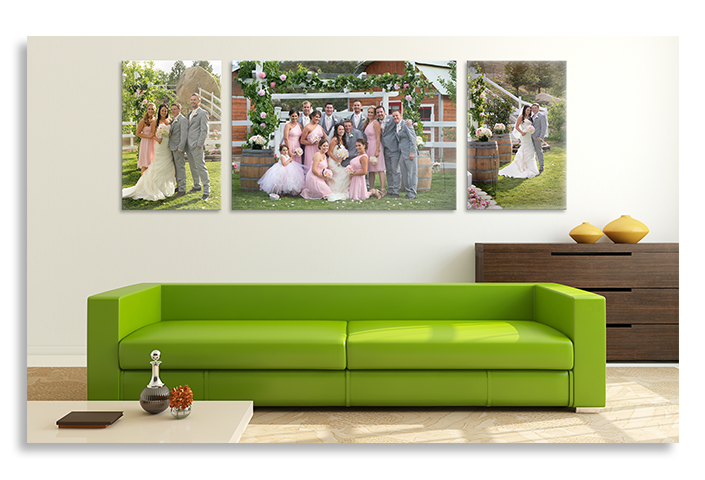 ●Your digital file is printed on to smooth photo paper and then face mounted on to the acrylic. ●The Acrylic Float is available in 1/4" or 1/8" thick material as well as a Tru Vue, "TruLife" acrylic option which is anti reflective and abrasion resistant. ● A piece of 1/8" Di-bond is mounted to the back of the acrylic for support and rigidity. ● Each Acrylic Float comes with our easy to use cleat hanging system and felt pads to protect your wall. ● The 3/4" thick float frame is made of wood and is recessed in approximately 2" from the edge of the image. ● Optically clear high gloss finish. ● Smooth white satin backing. ● The acrylic can be cleaned using plastic cleaner.